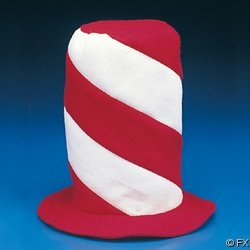 This classic hat is known by many to be donned by the character The Cat In The Hat! It looks perfect with a red shirt and white pants! Measures 12"